An innovative central CCTV/radio HUB has been set up to crack down on crime across East Lancashire. The HUB based at the King George's Hall, Blackburn covers nearly 250 cameras across five districts (Blackburn with Darwen, Hyndburn, Burnley, Pendle and Preston). The HUB operates 24 hours a day, every day of the year, and has access to CCTV images, Shopwatch/Pubwatch radios and police radios to provide a reactive and proactive response to incidents throughout the area. Icom radio dealer, Radio Service has installed a network of Shopwatch and Pubwatch radio schemes using the Icom’s RMS Net Management system, networked over ROIP by a series for VE-PG3 controllers across the county. 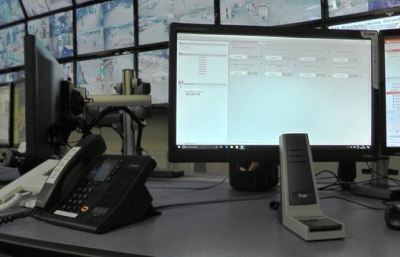 The VE-PG3 controllers allow all radio calls to be routed centrally to the CCTV/HUB, allowing the operator to quickly monitor any incidents and take action where necessary. Contact Radio Service by telephone on 01772 628000 or email sales@rstechnology.co.uk or visit their website.